My mom had a sudden craving for BBQ chicken and fairly dashed out to Walmart for their 2-for-$15 800g chicken promotion, only to find out that the Metrotown Walmart didn't carry them at all! 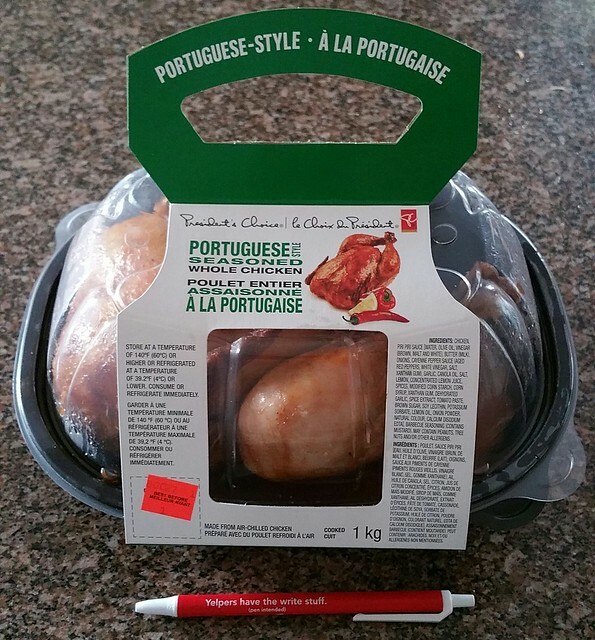 So she went to Superstore for their 1 kg chickens and bought just one. It turns out the chicken is actually really rather decent. The main things I checked were the breast meat and whether the chicken was cooked through. 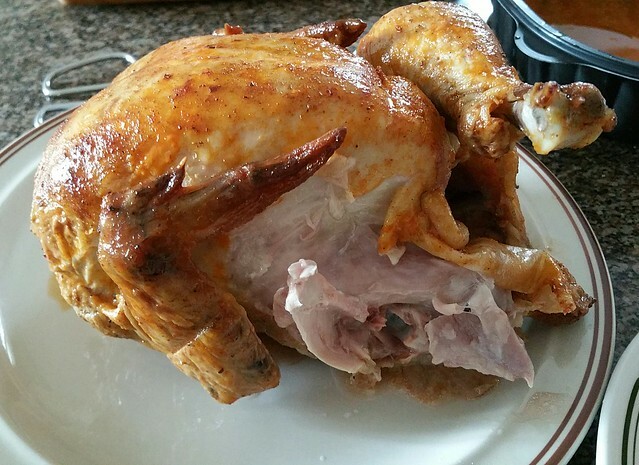 They probably brined the chicken because the breast meat was really quite moist and tender. 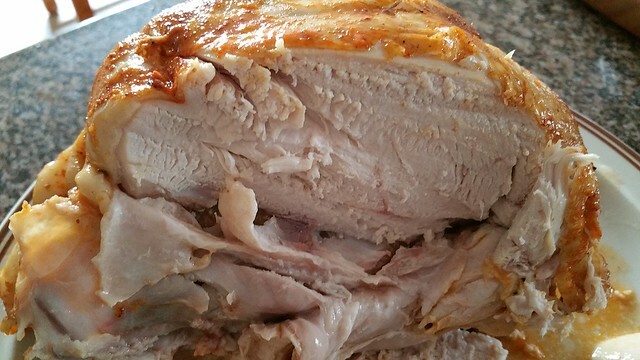 Often poultry that hasn't been brined before being roasted ends up with breast meat so dry you need a soft drink or gravy to help you choke it down. 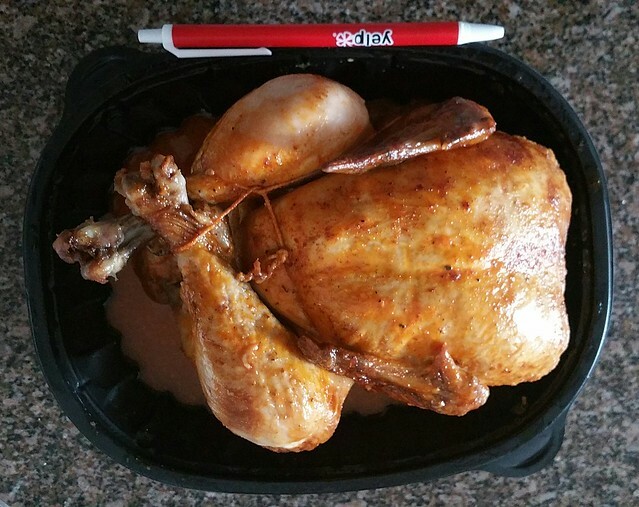 Whenever you buy one of these chickens from anywhere, I recommend you don't count on eating the whole thing at a picnic or other no-access-to-cooking space just in case some parts of the chicken turn out not-so-cooked. 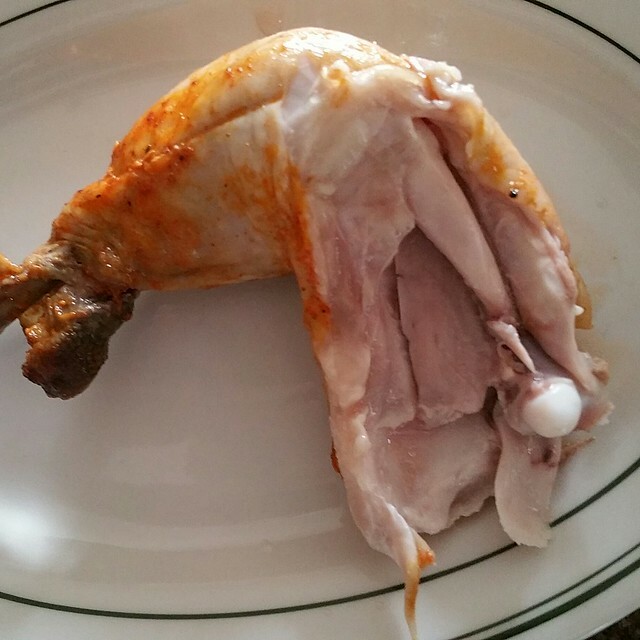 With this particular chicken however, only the deepest part of the thigh showed any sign of being very, very, slightly undercooked, with a small section of slightly pink meat clinging to the bone. No blood and nothing chewy or raw looking. Meat was tender overall -- enough for me to literally just pull out a thigh without cutting anything. There's a decent amount of sauce/drippings in the package, and the seasoning here is only slightly spicy-hot giving a light buzz in the mouth IF you use a lot of the pan drippings. Predominantly, however, you taste a tangy lime flavour, which I find helps with appetite when you're slogging through a lot of meat. Overall, this was a nicely done chicken and priced at less than a fast food burger combo for a lot more food.